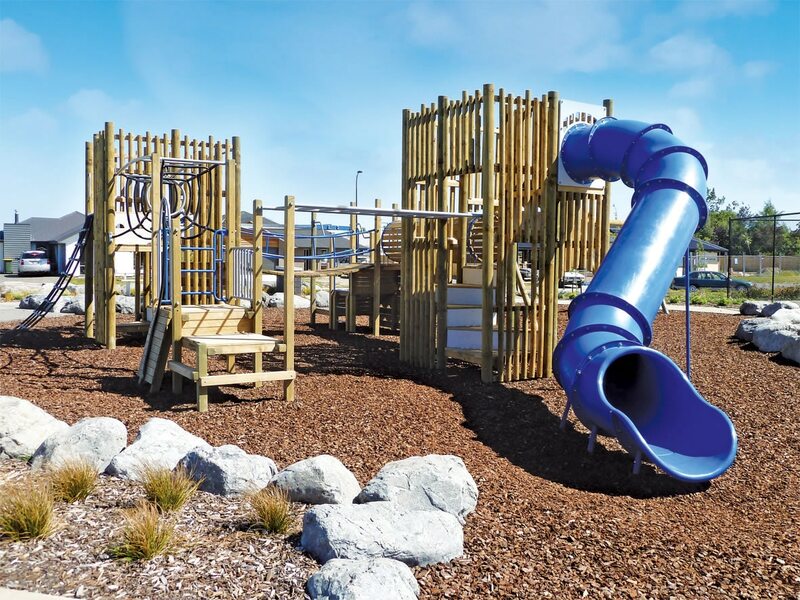 A statement park and play area in a new subdivision outside earthquake ravaged Christchurch was being used to help new and existing families ‘resettle’. 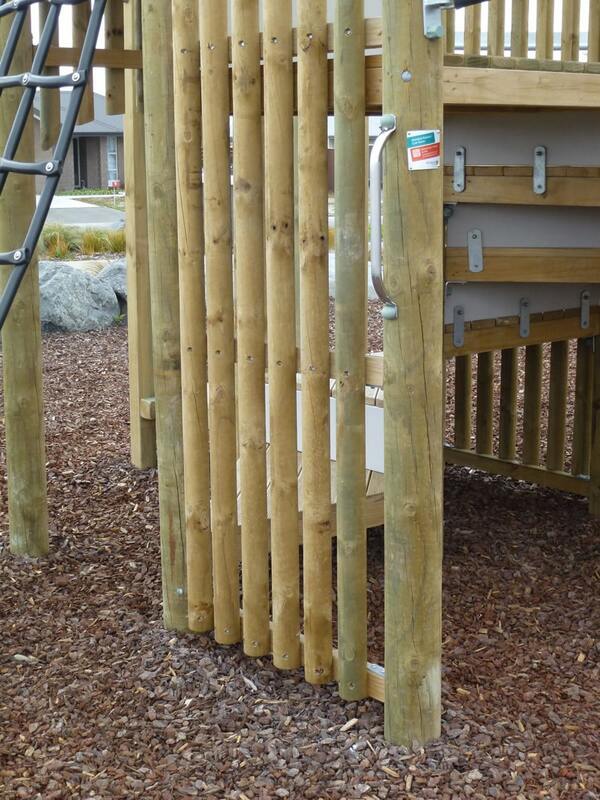 Working closely with the developer and architect, a timber-styled fort structure was developed complete with a mega tube slide to fit every member of the family. 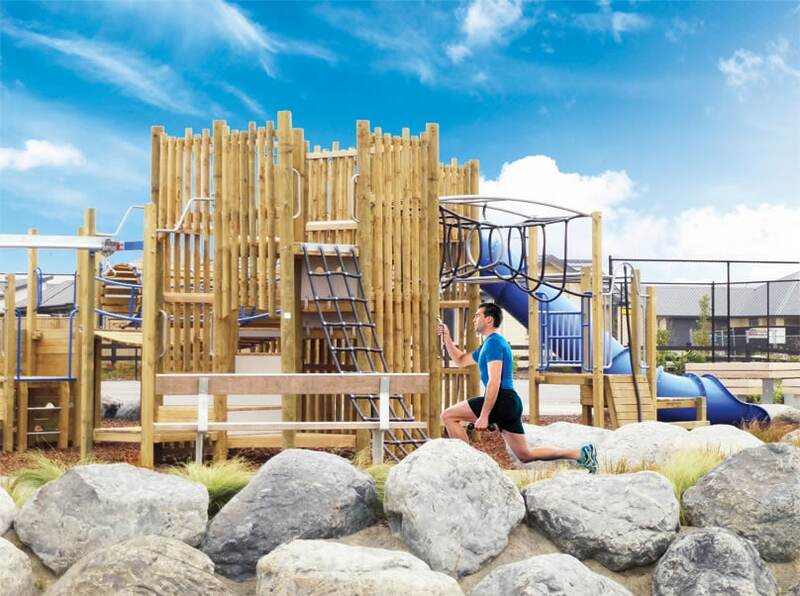 As the stand-out feature of this playground, the fort offers an array of nooks and crannies perfect for exploration and adventure. 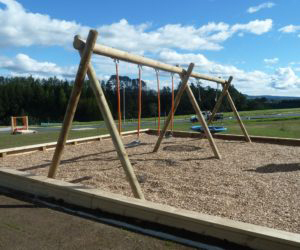 It is complemented by a flying saucer swing with 2 strap seats and a heavy-duty 2-seater seesaw. 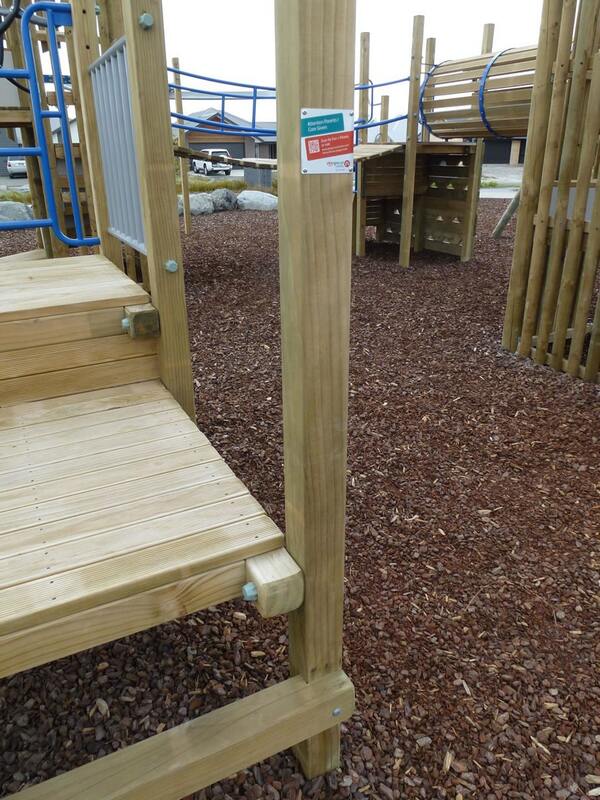 Through careful planning and design, the playground also people of all ages the chance to have fun and get fit! The clever use of QR codes on the equipment provides parents and caregivers with ideas on how to exercise in this family-friendly and safe environment. 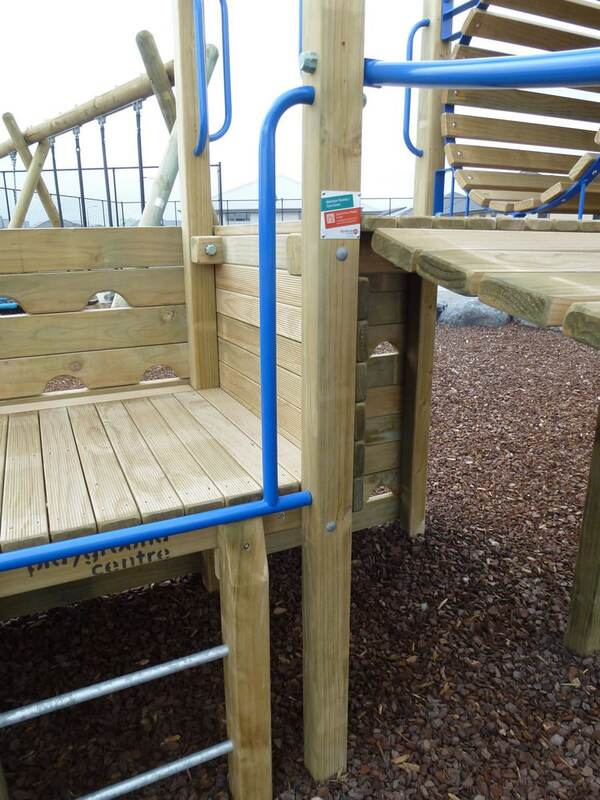 The mobile phone technology takes users through to a website providing specific instructions, tips and hints on what exercises can be done using parts of the playground. This allows full use and provides extra value and benefit for everyone!